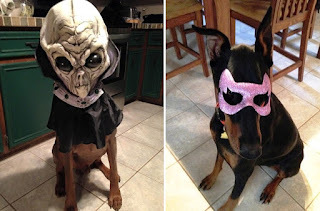 I was getting ready for my Halloween Party when I heard a knock at the door. Ma had gone out. We'd all be gone by the time she got back. 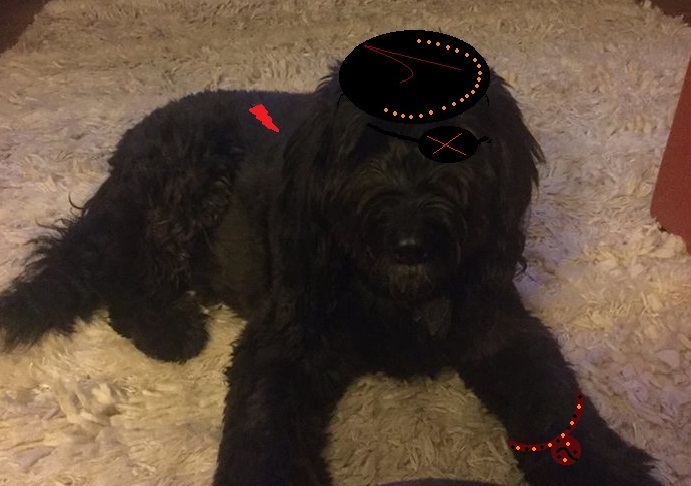 It was my friend Zilly Boo, all dressed up. She came to find out if she could bring her friends to my party. 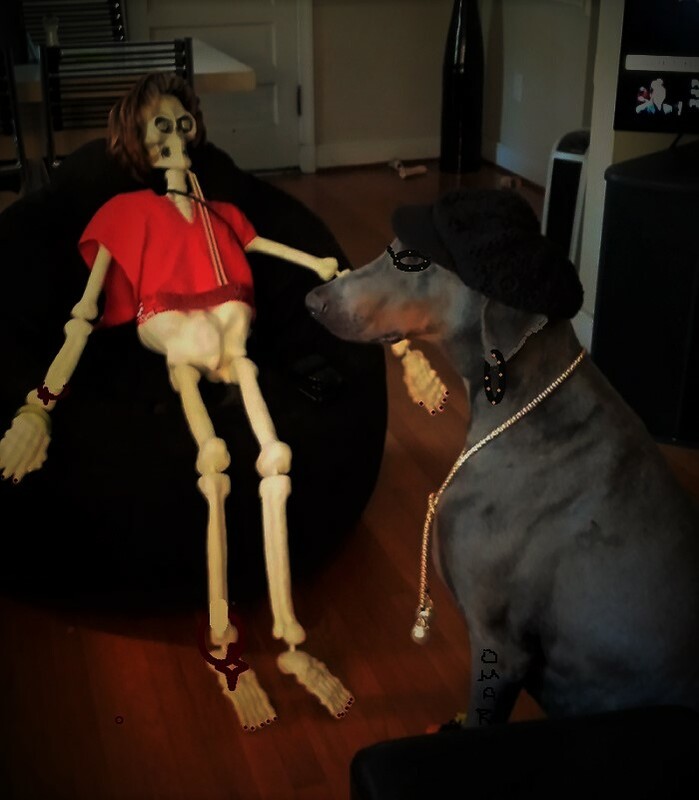 The first one to arrive was my best friend Kapone. You've met him before. He was early so he decided he'd be the greeter. You'll never guess who these two are. It's that handsome dobie Spartacus and his baby sister Athena Puddy. Talk about scary. It wasn't long before the others started arriving. Would you look at Guinness Goheen . Really outdid herself this year. She came in and found a spot, after greeting everyone. Always the lady. It was starting to get late. We decided we'd pick up the others on the way to K-9 Town but Kapone came in to say they had arrived and were outside waiting, so off we went. It wasn't long before we were in the mix of things at K-9 Town. We were greeted by Turbo Ghost. 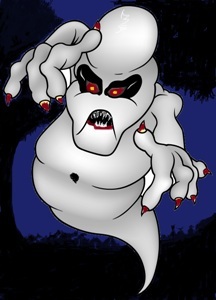 The largest ghost in the land. He put on quite a show. If you look close you can see us in the background. 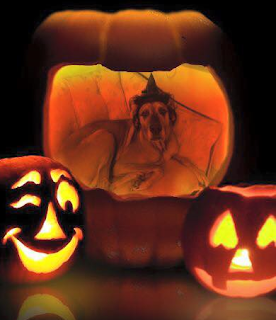 No one could figure out how she did it but Great Dane Bree, got herself caught up in the pumpkin's lair. Too cute. We tried to rescue her but she had to stay in until her time was up. She later admitted that it was fun looking out at the rest of us. The party went on and on and we had lots of fun. 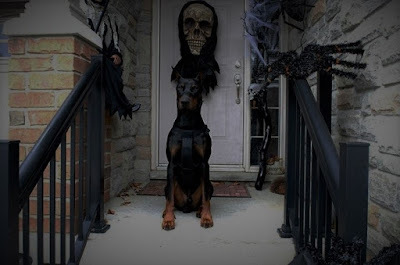 I think it was K-9 Town's biggest Halloween Party ever. None of us wanted it to end. 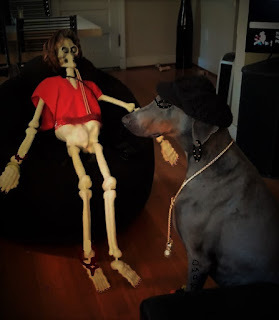 My skeleton friend Zilly Boo and her friends came, but didn't stay very long. They can never stay put for too long at a time. After the party, we made sure our friends got home safe. I'm back with my pack at K-9 Town. Ma isn't expecting me until tomorrow. We're all pooped. But we'll stay awake talking about what a good time we had. 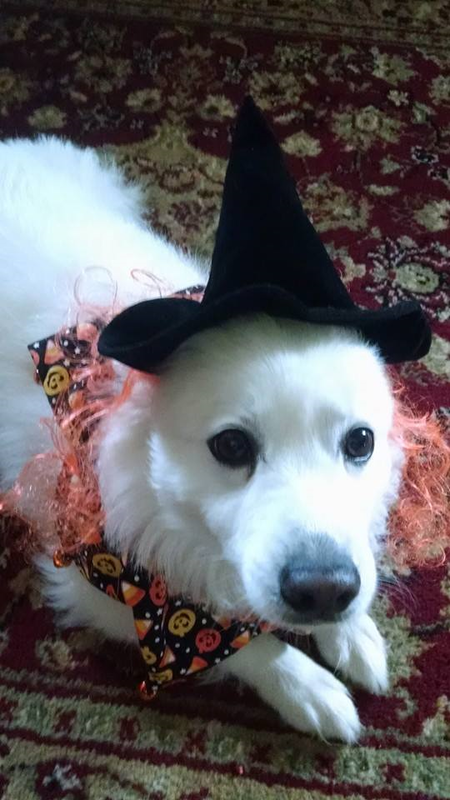 Hope your Halloween was as good. Cute post! I really enjoyed reading this, I want to do something like this with my two huskys! The pictures are adorable.